I was sort of lucky that my Dad was an amateur magician. When I was growing up I got to see some cool magic tricks. Most of these were achieved with simple things you could find around the house. As my dad was a pipe smoker, he was always doing magic tricks with things like matches. This is where I first saw the match box magic trick you will see in this video. What I really like about this trick is that the moves are very simple and clean. 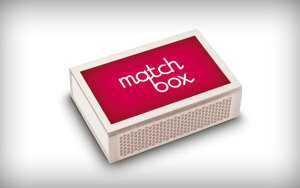 The match box magic trick is visual magic at it’s best. What I also like is that this trick is super cheap to make. 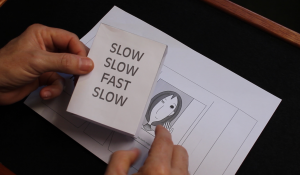 Magic Tricks For Kids even provides you with a download so you can make one of the props. The simple matchbox has been the object that has deceived a some very clever minds. Here’s a story from one of the lectures of a famous Canadian magician named James Randi. If you don’t know of James Randi, he specialises in exposing those who claim to have supernatural powers such as ‘psychic’ spoon benders and faith healers. He continually shows the public that these people are simply using basic magic tricks that have been the basic tools for magicians over the past centuries. He also runs the James Randi Foundation which has a $1,000,000 prize for anyone who can prove, under fair and rigorous examination, to be the holder of truly psychic or paranormal powers. After decades of opportunity no one has claimed the money. I wonder why? Could it be that they are all really tricksters pretending to have real psychic powers? The match box magic trick that fooled the scientists at the Lawrence Livermore Laboratories in California was ridiculously easy. An Israeli psychic named Ronnie Marcus proclaimed he held real physic powers and he would prove it in the lab. He wrapped a coin in cooking foil, then handed it to a spectator, who could not hold it as it became hotter and hotter. With simple tricks that can be found in basic magic catalogues and even in some kids magic books, he was able to fool some great scientists with PHD qualifications. The match box magic trick you are learning here is easy to do but it is still harder to do than the magic trick that Ronnie Marcus fooled the scientists with. He must have been a great actor. Always remember that the price of a magic trick is not the indicator as to how effective or well received it will be. A simple trick you can make at home can be as effective, or even better, than a $35 trick you buy online or from the magic shop. Expensive does not always equal better. The match box magic trick is a great example of this. 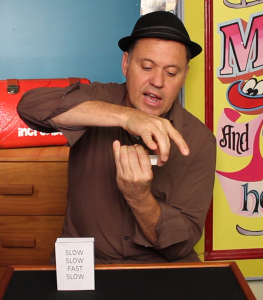 Did you enjoy this Match Box Magic Trick? To learn more easy magic tricks Click here!